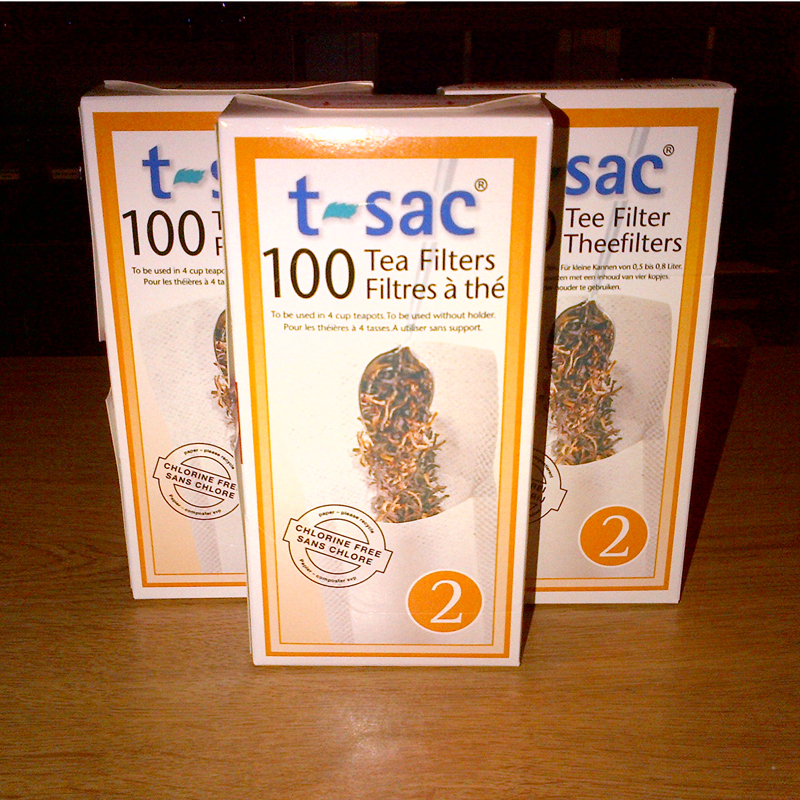 T-Sac #2 T-Sac Tea Filter 100 count box. Sized for 2-3 cups of tea. These filters are made of unbleached paper. Simply fill the bag with loose tea and put in cup of hot water, just like a tea bag. 100 count box. Sized for 2-3 cups of tea. These filters are made of unbleached paper. Simply fill the bag with loose tea and put in cup of hot water, just like a tea bag.